Good. Good condition paperback. Book may have inscriptions, toning and foxing. Covers may have light wear. There will be no loose pages. Fair. 009112431X ACCEPTABLE CONDITION ONLY, FOXING TO PAGES. Good. Good condition paperback with some creasing to covers. Content is clean. Ex-library. Undated. Translated by James Murphy. The hinges are in good condition. The text to the spine is clear and bright. Ex-Library Book. Has usual library markings. Good. 68th Jaico Impression. Good+ condition paperback with minimal wear. Contents are clean and bright throughout with a few ligt marks to page ends. This book is apalling to most people.....but I believe it is an important part of the world's history and actually being able to read Hitler's reasonings for his atrocious actions. Great book and service. Thank you for the fast service. 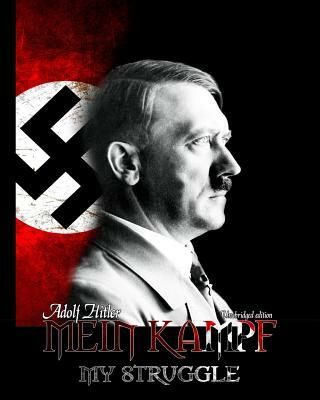 This book is a hardcover one that is very firm and it is translated from the original Hitler's text in German. I like tis book as an academic resource for research, and to me this edition is very well done. I do not rate five stars because of the content of the book, but for its quality on pages, cover and features. Personal views on the author aside, this book is full of raw and empassioned views on a range of subjects relatable to the German people of the time. The intimate and personal thoughts of the world's fourth most mass murderers are presented for people to scour and interpret. The book can be difficult at times to understand and the context does not always fit with western views of the world at the time or the way we understand them now. This is a very intense read about the coming about of Hitler's view on politics and race. Not for the faint of heart. Although the book is a very interesting read, it really takes concentration and intestinal fortitude. Great book to get a bird's-eye view of Hitler's genius.